engineered and designed to make the job easier. 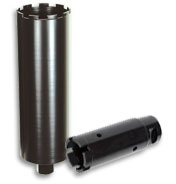 Let our professional customer service and product selection improve your bottom line. Application: Concrete, Brick, Pavers, Ductile Iron, Green Concrete, Asphalt, Granite. 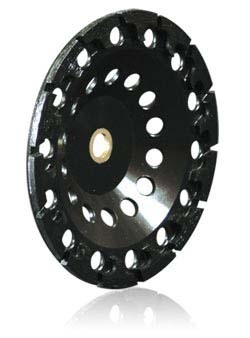 Features: Laser-Welded, Turbo-Slant Segment Height 12mm and 15mm undercut segments. 15mm turbo segmented undercut rim. 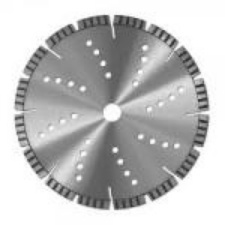 It is extremely reliable providing fast cutting speed. 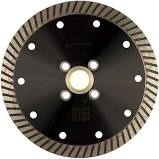 Use on high-speed saws, masonry saws, and walk-behind saws up to 20-hp. 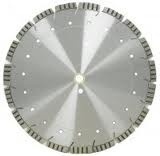 We feel that is the best diamond blade on the market today! Application: General Purpose, Block, Concrete, Pavers, Brick. 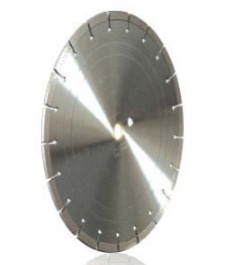 Features: High-Speed sintered blade that performs very well in concrete, masonry and stone. Large 14mm segment height for extended life. 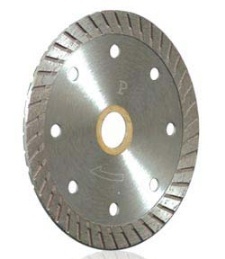 Our best selling high-speed blade. Features: Turbo Style, Continuous Rim, Cooling Holes, 10mm Rim Height. Features: Laser Welded, Segment Height 10mm, 14” length. Fast, aggressive speed and clean finish. Features: Brazed, Turbo aggressive T-shaped segments. with flush-mount adapter, sold seperately.